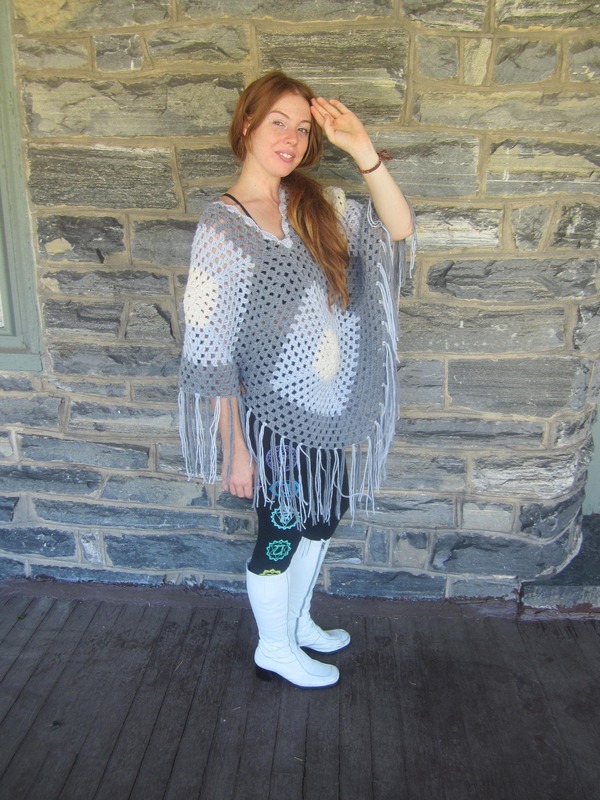 This is a gray ombre Afghan fringe poncho perfect for every bohemian, hippie, retro fashion lovers out there. 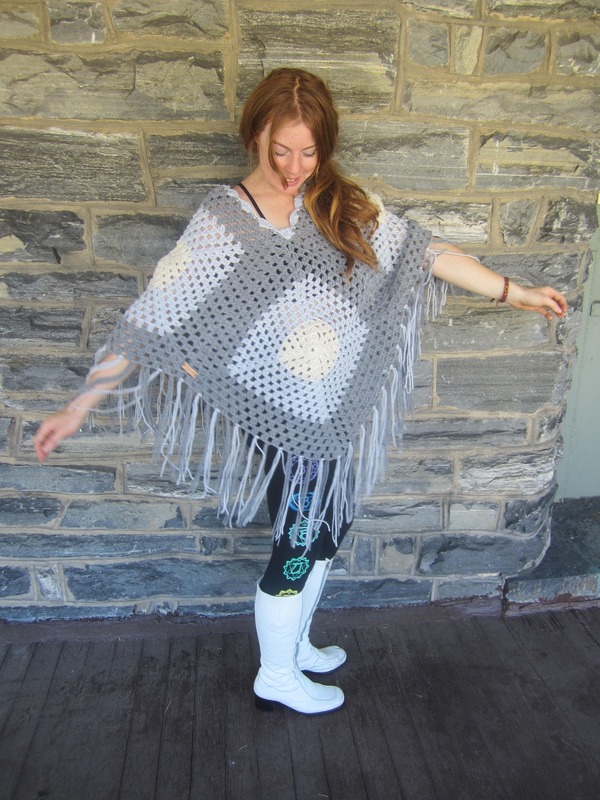 I thought I would extend my love of colorful top to my ponchos. 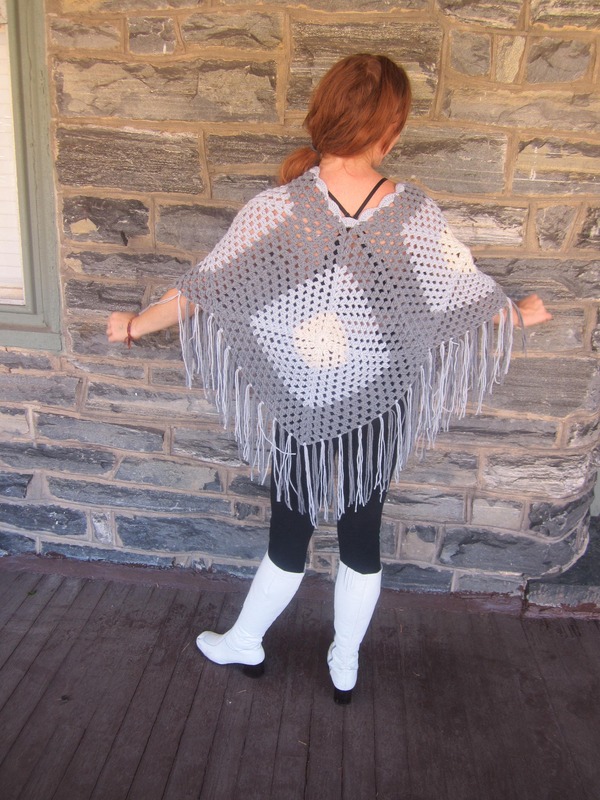 This fringe Poncho is made with easy care yarn so can be worn all year round but is especially perfect for the Fall/Winter season. 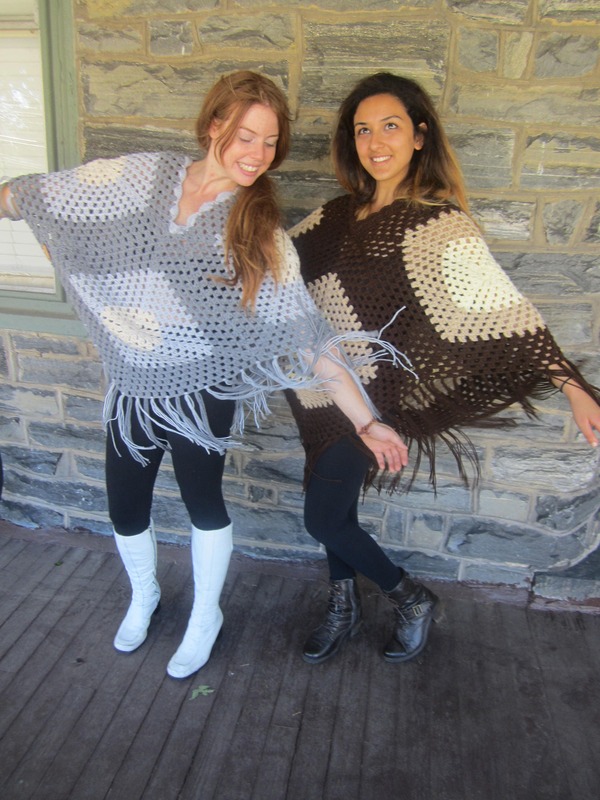 Ponchos are in this season why not get this colorful poncho. 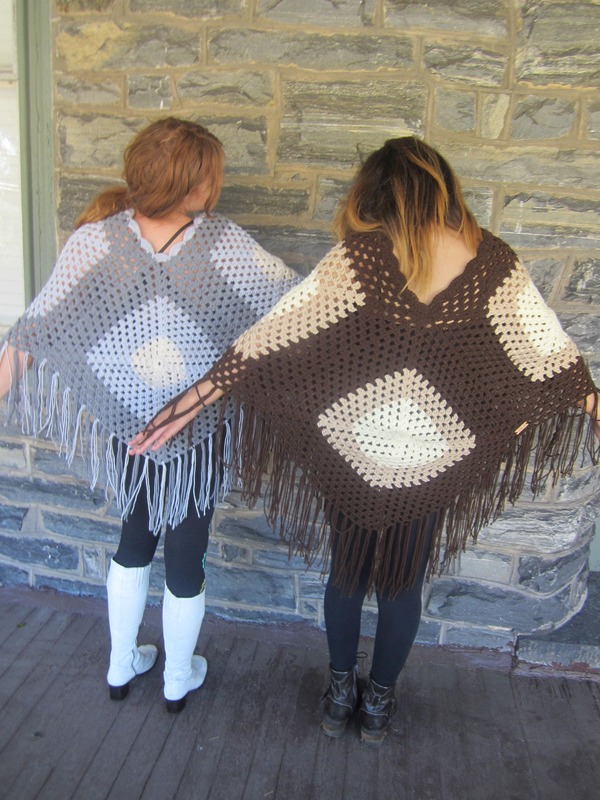 The neutral gray tone poncho is perfect for festivals, warmer months, and cool evening. 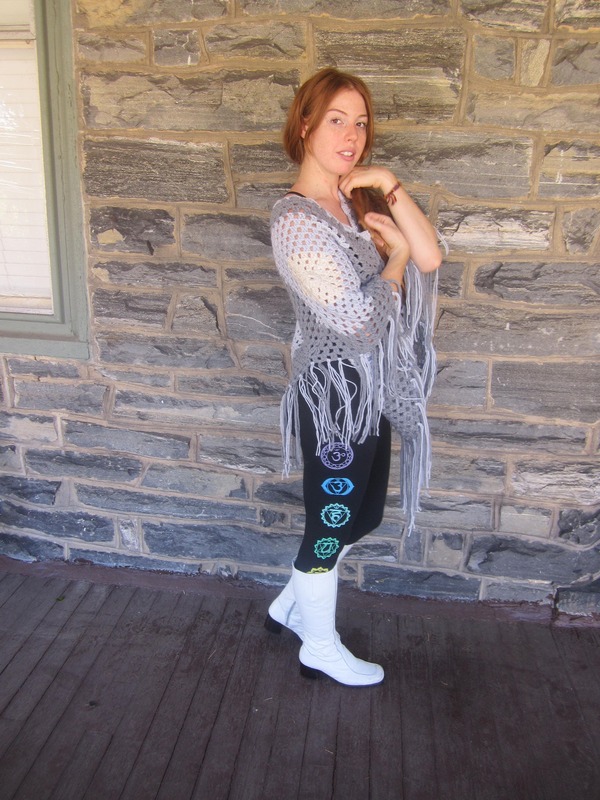 Great when worn with a belt for a sweater top look or worn without a belt and paired with a skirt, jeans, pants the possibilities are endless.